Tyler Denny takes on Reece Cartwright for the English Middleweight Title at Walsall Town Hall on Sunday, 30th September. 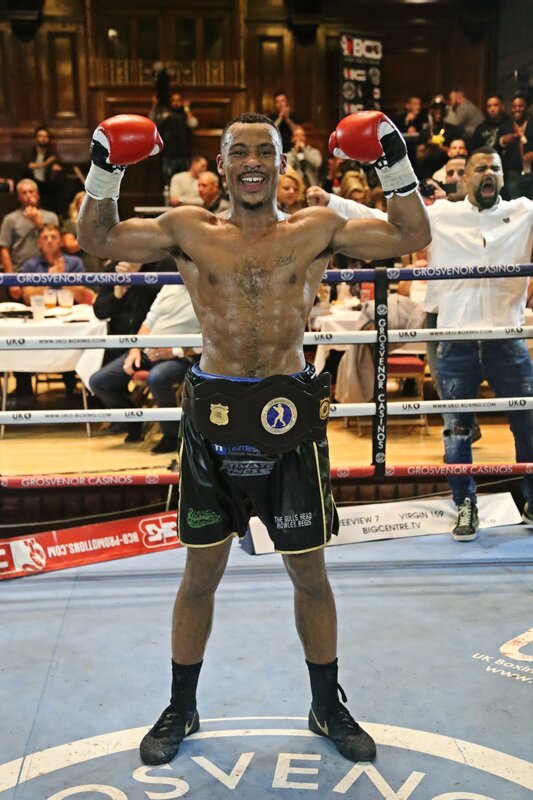 The Midlands Area Champion headlines BCB Promotions’ latest show at the Town Hall as he bids for national honours. The 27-year-old southpaw now moves on to crunch time on a Sunday luncthime bill, which he believes will bring out nothing but his best. “I’m excited, I’ve stayed in the gym since my fight last month (against van Poetsch) and I’ve watched my weight. The hard work starts here. The under-card features home favourite James Beech Jr, a second generation fighter as the son of former pro Jimmy Beech. The undefeated super bantamweight prospect, 21 and from Bloxwich, has recorded three of his six wins as a pro at Walsall Town Hall. He notched his maiden paid TKO there, too. Another Walsall pugilist, Levi Ferguson, also features looking to build on a successful pro debut at the same venue. He outpointed Paul Cummings in the super welterweight division. Ryan ‘Stewart’ Davies will be looking to rebound from his first pro defeat, in a title fight situation against the experienced Rob Hunt. An exciting eight-rounder culminated with Hunt seeing off a bloodied Davies by two rounds on points, 78-76, with the British Challenge welterweight crown on the line. The former kickboxer, from Tividale in the Black Country remains involved in his former calling, too, and still works as an instructor at Oldbury’s School of Black Belts.He’s registered for the sweet science ‘Stewart Davies’, using his middle name as his first name as there’s another Ryan Davies in the paid ranks. Girl power will be on show with flyweight ‘Pocket Rocket’ Dani Hodges, from Burntwood, who became a licenced boxer with a points victory over Teodora Hristova last month. Former national amateur champion Connah Walker, of Wolverhampton, turns over under the tutelage of boxing legend Ricky Hatton, who will be in his corner come fight night. Ex-kickboxer Troi ‘the Hawk’ Coleman, who hovered around light heavyweight in his former calling, completes the line-up. Tickets, priced at £35 standard and £60 VIP ringside, are on sale now from the Town Hall Box Office on 0845 111 2900. It will be £40 for entry on the door. The Grosvenor Casino Walsall, on Bentley Mill Way, are the show’s headline sponsors. They will host the weigh in and after-show party (over 18s).